This is very true. 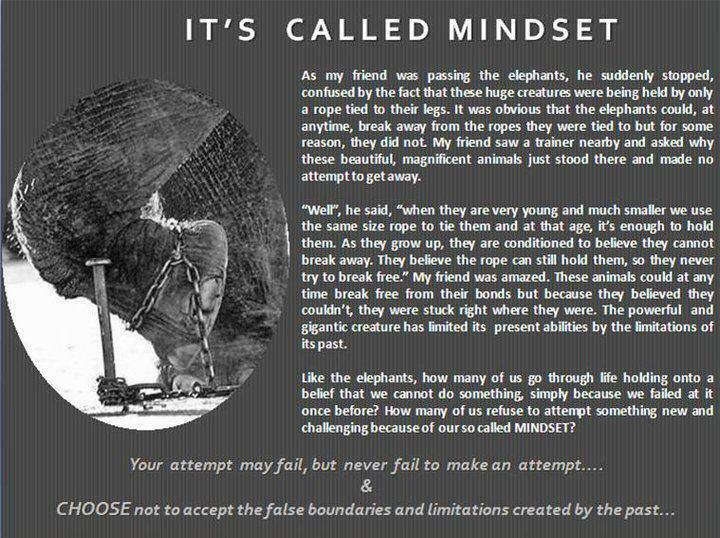 We are often limited by ourself and our previous failure, just like the elephant in the story. It's time to take the steps to break the rope tying our leg.